Michael Stricker is the marketing director at SEMrush, one of the leading SEO and digital marketing software online. Michael has been a lead consultant and SEO, SMM, ORM, CRO expert for national brands & Fortune 500 companies. 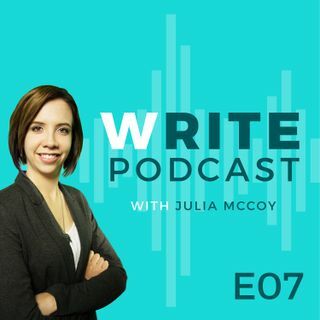 A creative writer himself and an expert in SEO, he joins Julia in this episode to share the do's and don'ts on SEO research practices to optimize your online content, tailored to the busy writer or business owner who doesn't have a ton of time to spend ... See More there. Learn how to use SEMrush to find your best-fit keywords, how to find topics that your prospects might be searching for right now, and how to do SEO effectively in your online marketing. See more: expresswriters.com/writepodcast. Follow Julia's Write Blog at: expresswriters.com/blog.